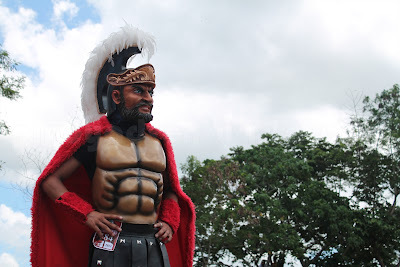 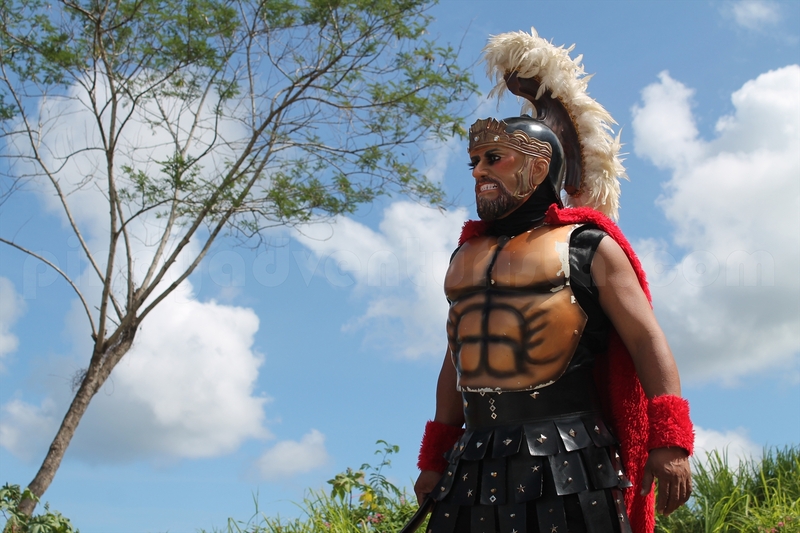 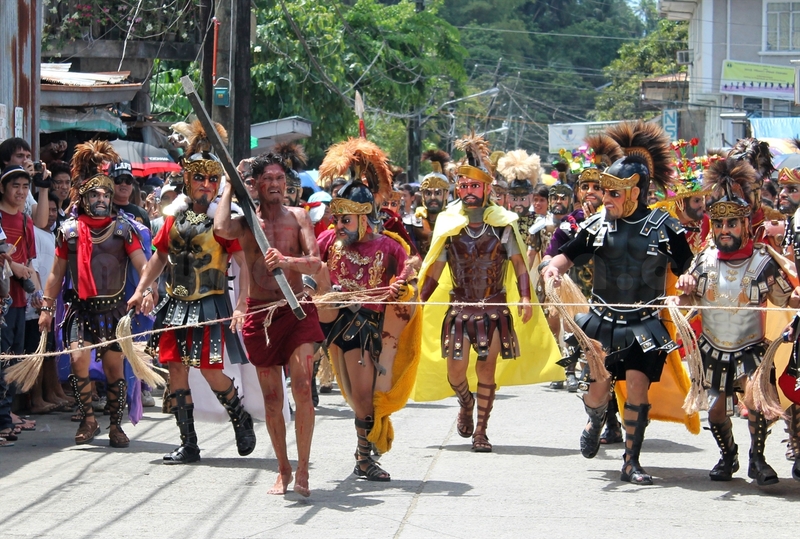 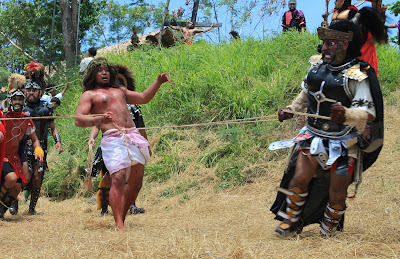 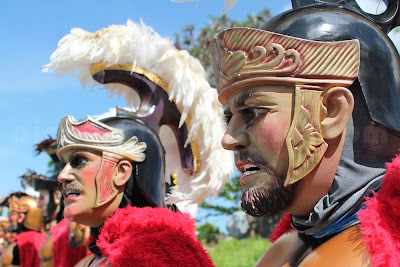 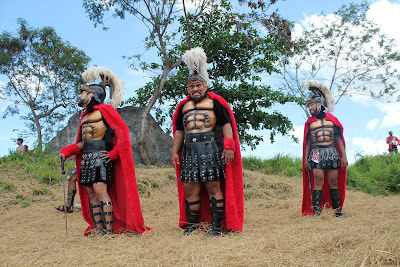 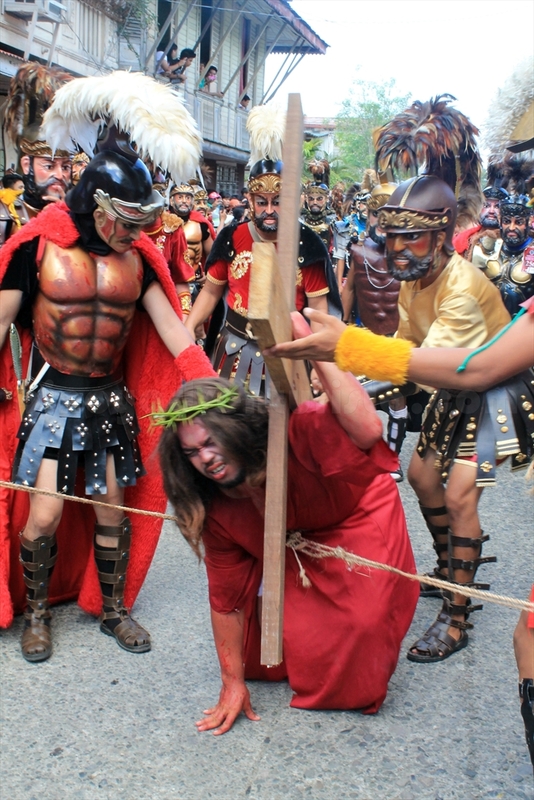 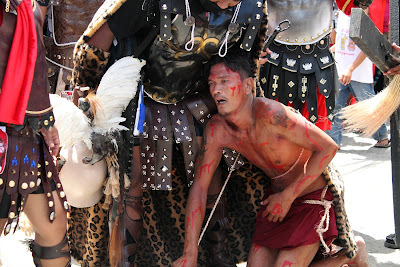 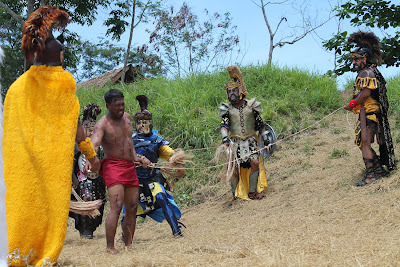 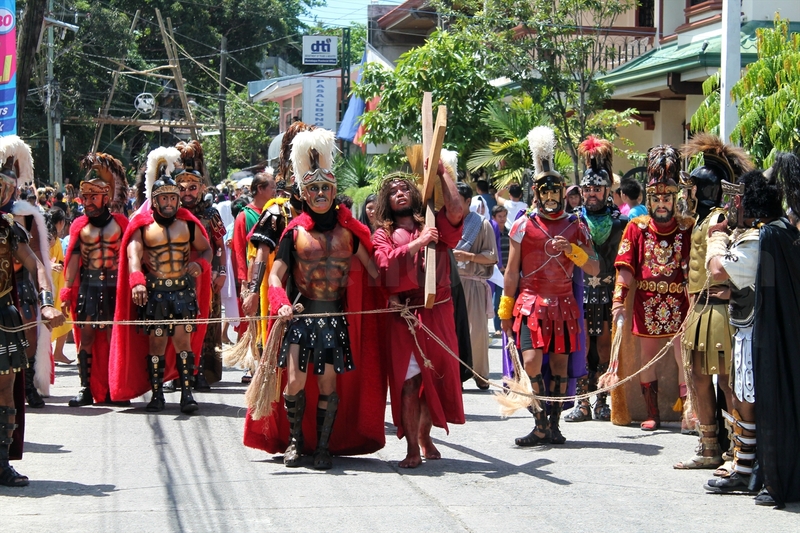 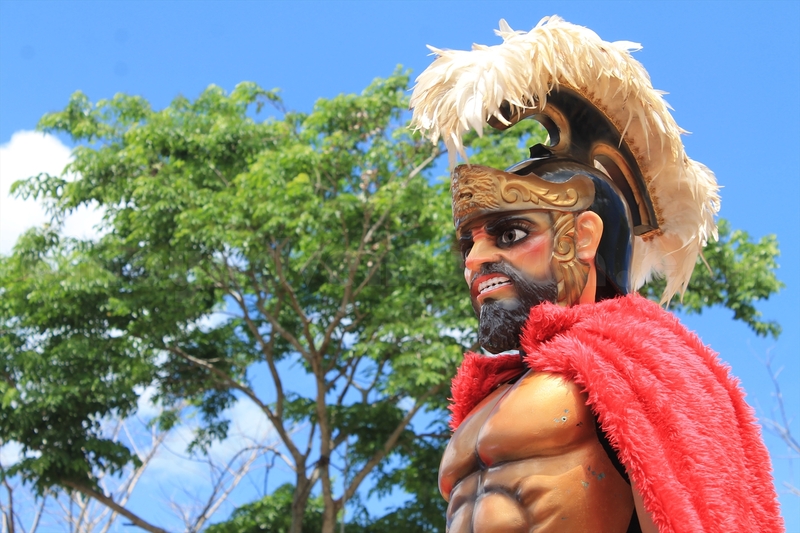 Pinoy Festivals: Moriones Festival 2013, "Via Crusis along the Streets of Boac, Marinduque"
Marinduque is considered as one of the top destinations in the Philippines during the Lenten season. 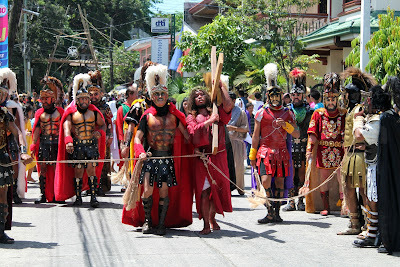 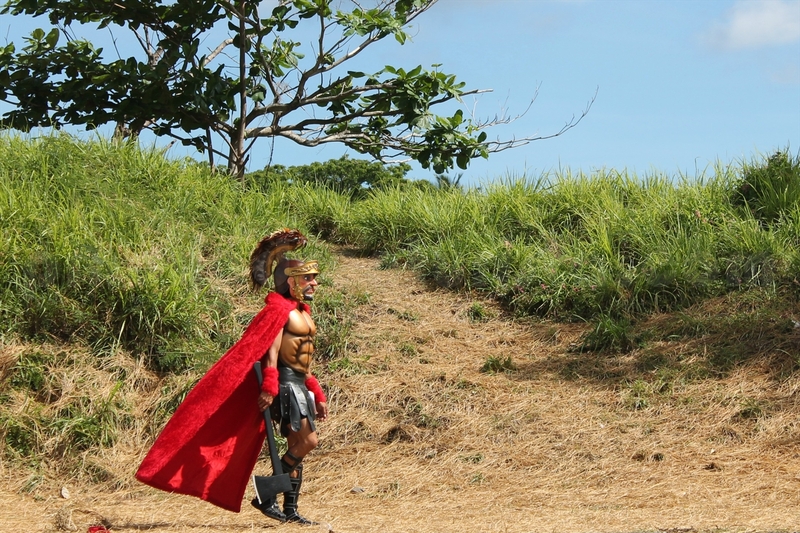 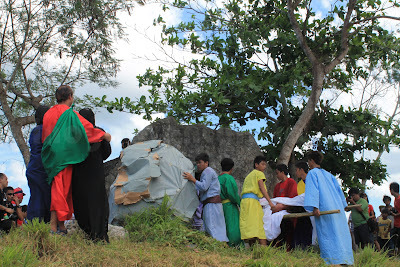 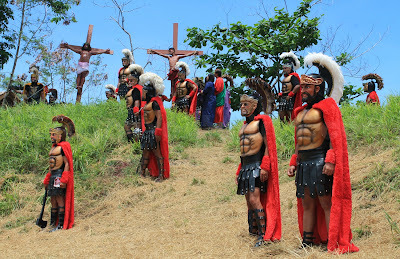 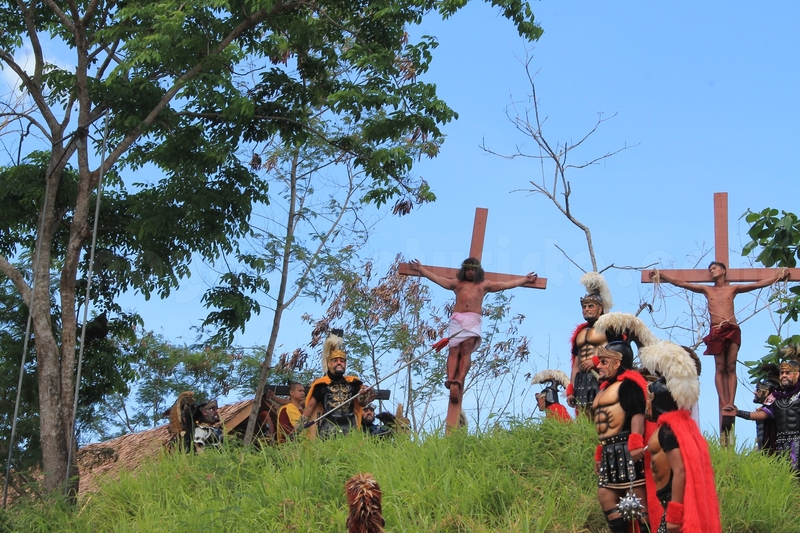 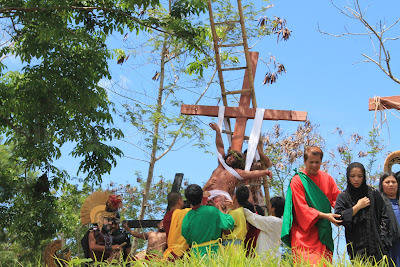 It is where the Moriones Festival is held every year which starts from Palm Sunday to Easter Sunday. 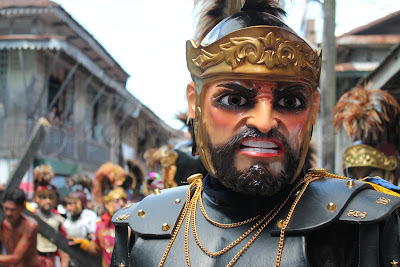 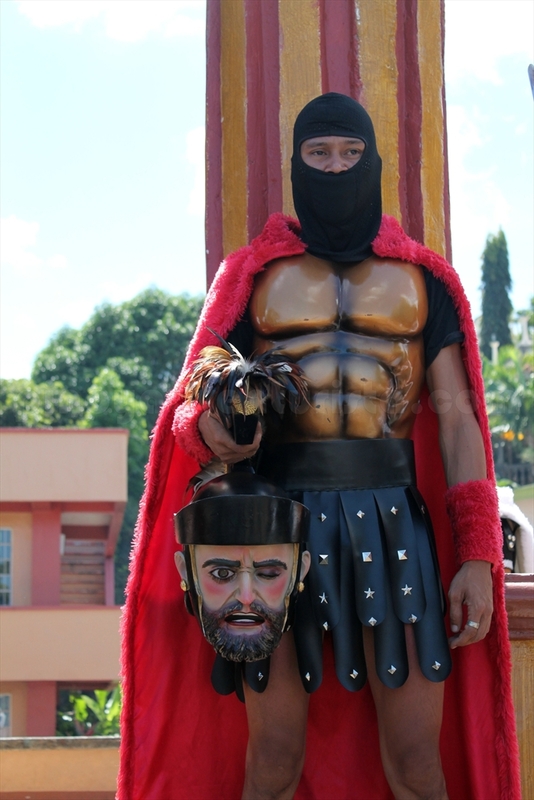 Moriones is coined from the word "Morion", which literally means "mask", a part of the medieval Roman armor, replicating the garb of biblical soldiers roaming around the town searching for Longinus. 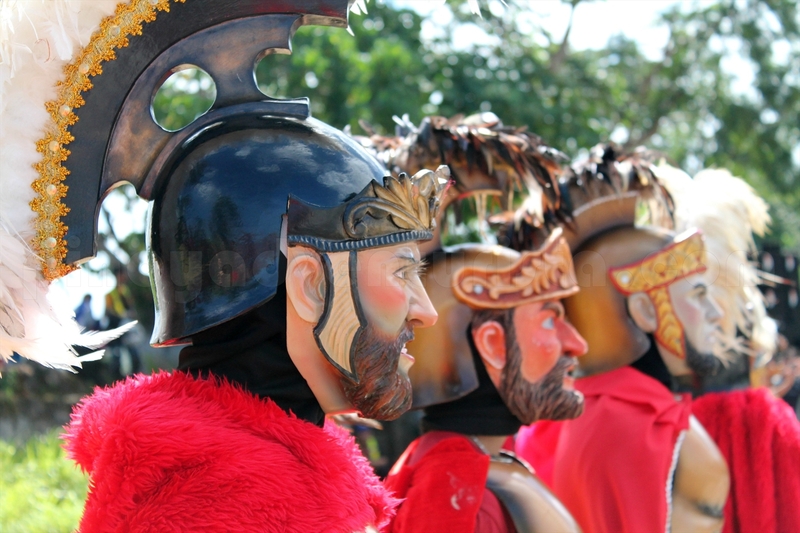 During the festival, the Morions of Marinduque showcase their colorful Roman costumes, intricately-carved and painted masks, and colored tunics. 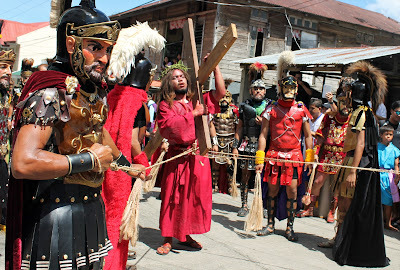 All towns of Marinduque namely Mogpog, Sta. 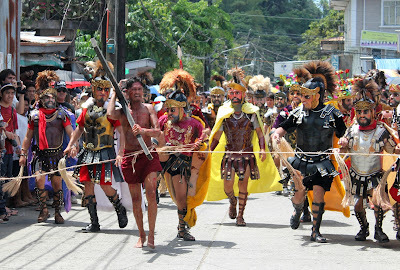 Cruz, Torrijos, Buenavista, Gasan, and Boac have their own celebration of the festival. For the 2nd time, I was able to witness it in the capital town of Boac. 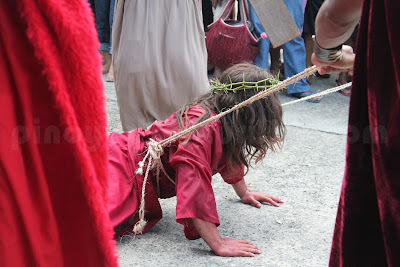 One of the highlights of the festival is the "Via Crusis" along the streets. 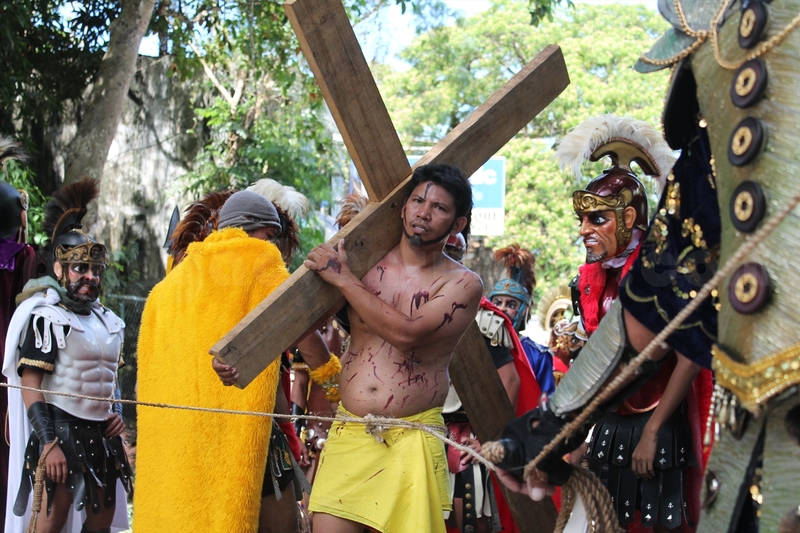 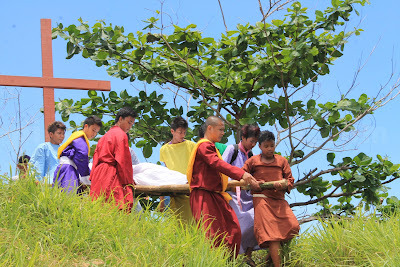 It is a re-enactment of the passion and suffering of Christ on his way to Calvary where he was crucified and died on the cross. 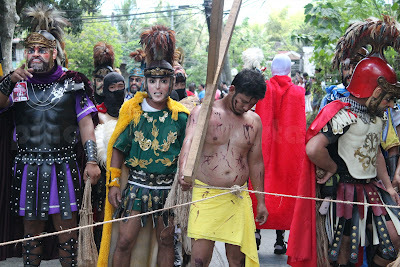 Men playing the role of Jesus Christ and the two thieves carried their crosses while tied on the waist by a rope and pulled by the Roman Soldiers. 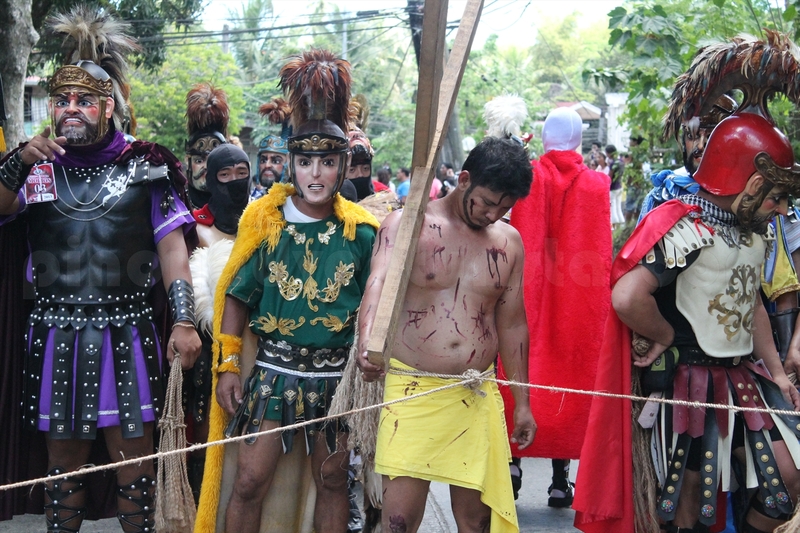 They are whipped hard, pushed and dragged by a horde of Morions on a hot road pavement as they re-enact the Stations of the Cross. 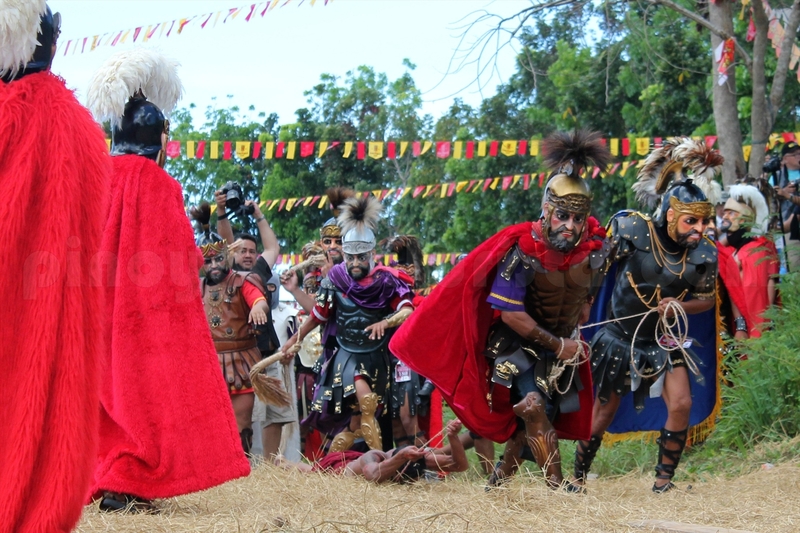 The final part of the "Via Crusis" was held at the Moriones Areana where a stage was made for the festival. The thieves and Jesus Christ were "crucified" before a large number of audience. 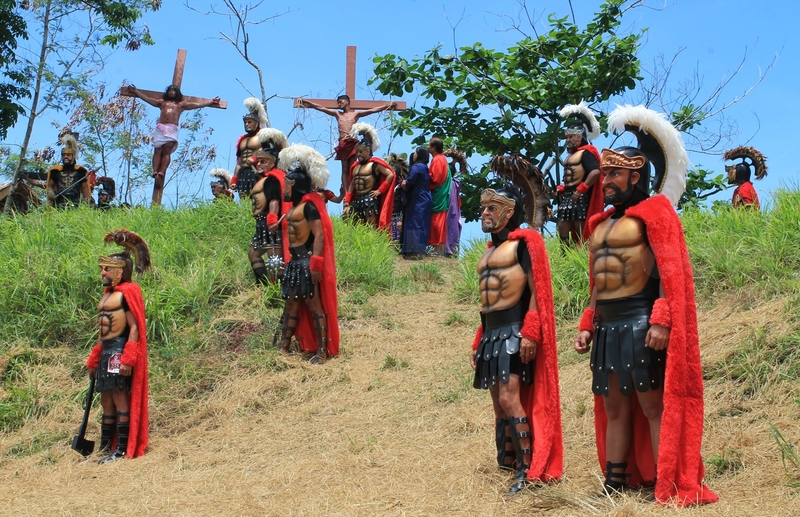 Part of it narrates the story of Longinus,a Roman centurion who was blind in one eye who speared the crucified body of Jesus Christ. He experienced a miracle when the blood that spurted out from Christ's wound touched his blind eye and fully restored his sight. 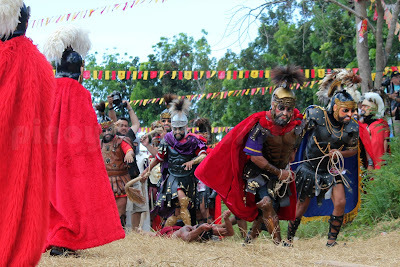 The miracle converted him to Christianity which resulted to anger of his fellow centurions. He was then "chased" by the Morions and eventually "beheaded" on Easter Sunday. 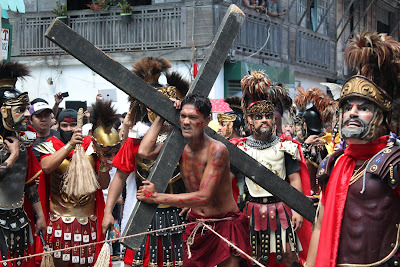 The "via crusis" ends with resting the body of Jesus Christ into his tomb. 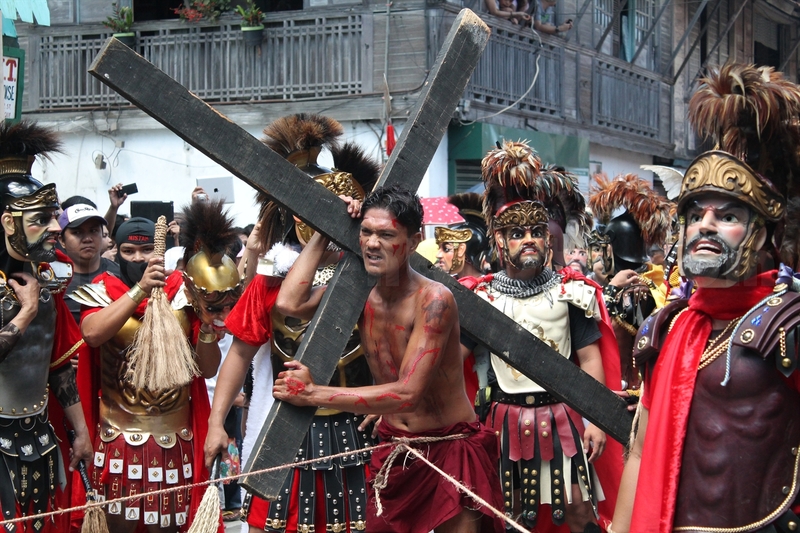 Veneration and devotion to the the Catholic faith is heightened during Lenten season in the Philippines. This age-old tradition and custom of Marinduqueños makes the island of Marinduque a must-visit destination during holy week. You are a true Morion now, Mervs! 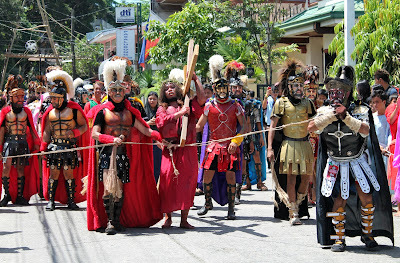 :D Great coverage you got here for the Moriones festival. Keep up the good work! 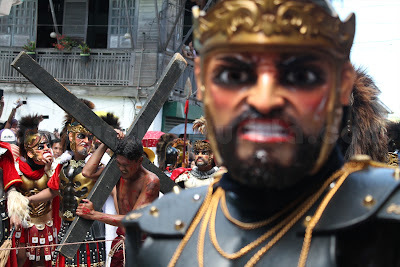 mahal na mahal mo talaga ang Marinduque! Isa kang Moryong Bungi! 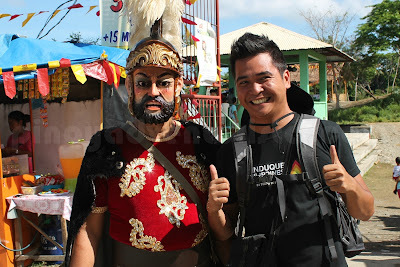 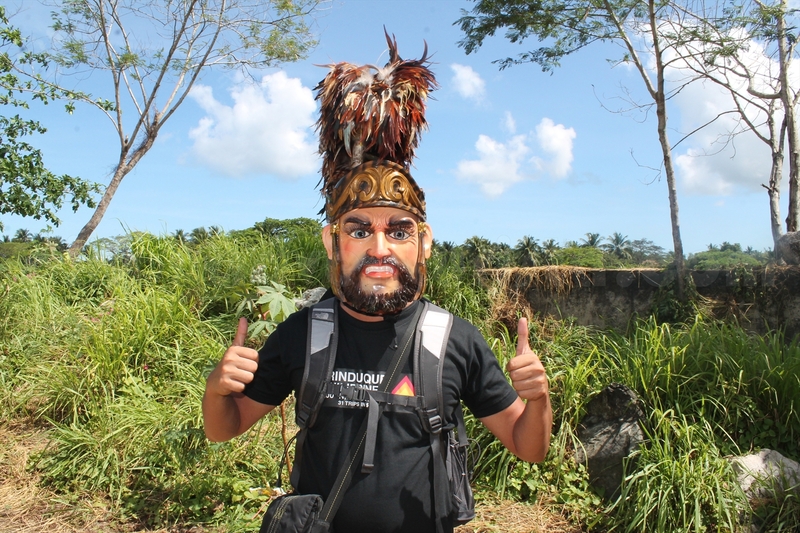 Mabuhay ang mga Moryong Bungi....Pinoy Adventurista Two Thumbs up for the beautiful coverage! 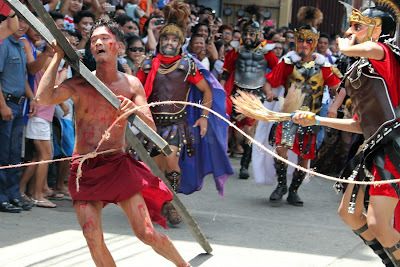 totoo ba yung mga blood? 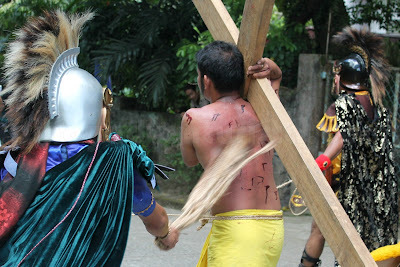 sakripisyo talaga anoh. 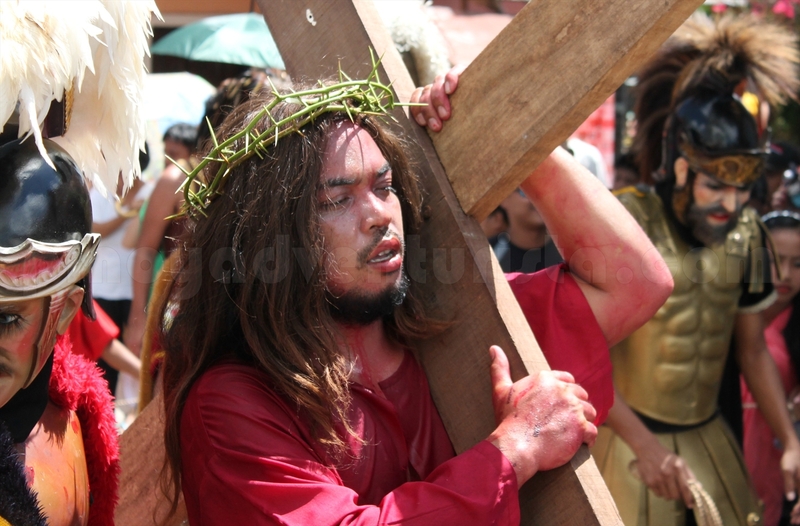 5days ka don? 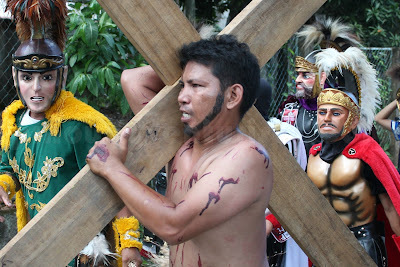 don ka nagholyweek?